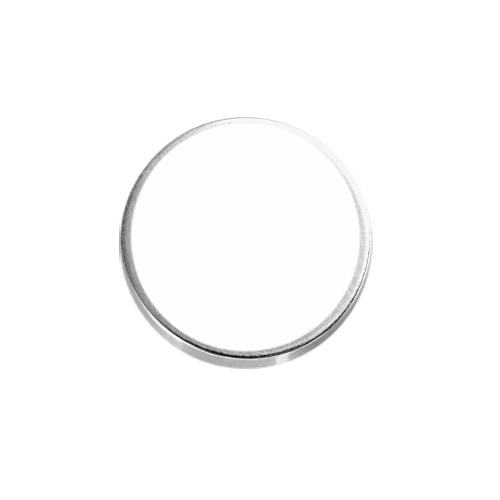 Keep the thoughts of your loved ones close at hand with Personalized Photo Cufflinks. Once you submit your clear photo according to the photo guidelines, your perfect image will be placed in a round cufflink setting. This dynamic accessory can be customized with two photos, a photo and a text or two texts. This is the perfect men's gift for any occasion but who need reason to get spoilt anyway? Create the perfect gift with a combination from our Personalized Men's Jewelry Collection. Thickness: 4.6 mm / 0.18"
Dimensions: 16 mm / 0.63"